Here you will find an overview of the key services that our company provides. We cover the entire process of value creation for our customers – from engineering and the development of production processes to final production – with supporting products and services. 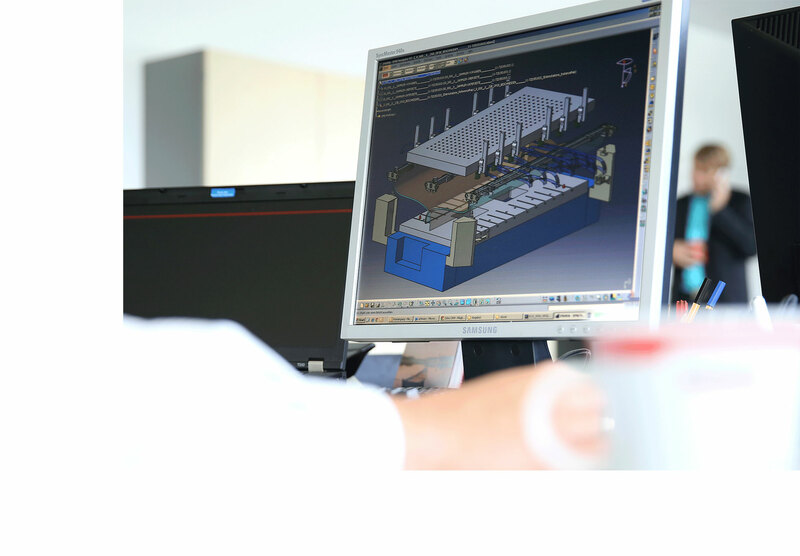 Our range of services includes feasibility studies and analyses, forming simulations, tool planning, component development and the construction of various types of press tools with different levels complexity. We support you right from the initial feasibility analysis and use the best software solutions to develop the processes. All the findings regarding feasibility and quality are taken into consideration during the method planning phase to ensure that the tools deliver a high level of process reliability. Thanks to our experienced, highly qualified employees, we are able to precisely evaluate the economic producibility of a product in close coordination with the customer, and implement the production using a reliable process. You can take advantage of our services either individually or as part of a package. The sooner that we are integrated into the engineering process, the greater your efficiency and quality benefits will be in the downstream process.